The ‘Easy Come, Easy Go’ tour (named for the slow burning successful 2009 album of the same name) finally came to an end at this Dublin concert after almost 18 months of concert performances worldwide. Perhaps the last full world tour to be undertaken by this legendary artist, this final show of the tour was one of the finest rock performances I have ever seen. Everything about the show was perfect, the band, the songs, the ambience, the venue and of course Faithfull herself. Forever linked in the public mind with the swinging sixties, Marianne Faithfull is one of the last great surviving icons of that era. She is however much more than that. Her talent is truly unique and her live performances are a truly moving experience. Haunting and at times genuinely macabre and even disturbing, Faithfull’s work has few parallels in modern music. Her contribution to music, now increasingly recognised, is immense. 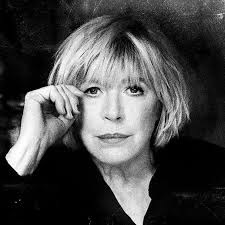 From her early 60s pop ingénue chart hits to classic works like 'Broken English’, ‘Strange Weather‘, ‘Secret Life’ and the stunning live album ‘Blazing Away’ recorded in New York through to her latest album, Faithfull has managed to carve a niche for her particular brand of music. Her live audiences are transported to a different place entering the world of Marianne, light and dark, amusing and moving, occasionally truly unnerving, the artist herself is left ragged and tired having literally given her all for her art. One of the world’s best interpreters of a variety of music styles spanning rock and roll, country and western and pure pop to the more theatrical work of Brecht & Weill, Faithfull has done it all in a career encompassing movies, theatre, recording and live concert performance. This show was all that one has come to expect from Marianne, moving, haunting, funny, offbeat and at times genuinely disturbing. Through it all Faithfull remains above all true to her art and one of the most interesting personalities to emerge from the sixties. Her work has rarely stood still and her life itself has been a roller coaster ride. From chart topping pop princess to down and out drug addict, comeback honky tonk queen in 197Os Ireland (where she recorded her classic version of Waylon Jennings ‘Dreaming my Dreams‘) and her eventual reinvention with 1979 masterpiece, ‘Broken English’ which led to a permanent revival in her career, Faithfull has remained interesting and defiantly different throughout. She is without doubt one the great icons of our time. The tour is now completed but the album which inspired it 'Easy Come, Easy Go' featuring ‘18 songs for music lovers’ and collaborations with some of the biggest stars in music has been described as one of the best adult pop records of the last decade. Do yourself a favour, Buy It. The lady is a true living legend and still delivers original and challenging work.